Kalajoki did exceptionally well in the marginalisation comparison made by the newspaper Helsingin Sanomat in November 2017. Kalajoki does indeed focus on the wellbeing of its citizens, regardless of age, and it wants to offer five-star living to its old and new citizens. 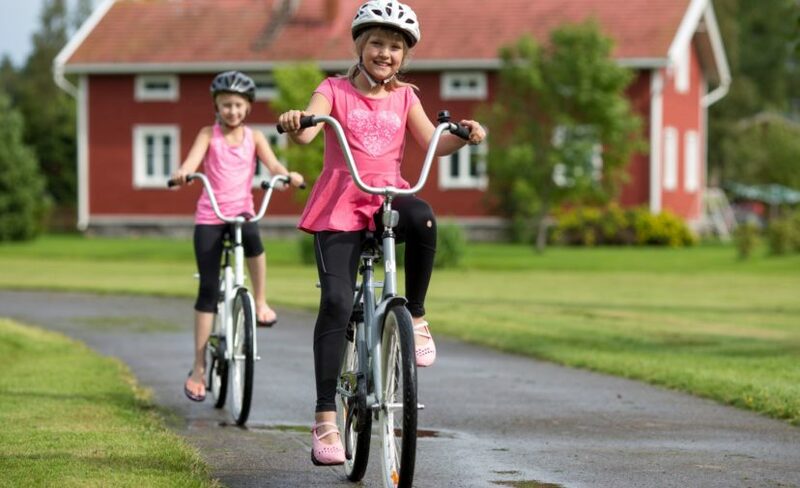 In November 2017, Helsingin Sanomat published a comparison of youth wellbeing in different parts of Finland, based on the data from the statistical information database on welfare and health in Finland. The comparison analysed 176 municipalities with over 5,000 citizens. It used statistics on youth unemployment, exclusion from education, depression, and youth suspected of crime, among other statistics. The higher the municipality’s score in the comparison is, the better the young people living in the municipality are doing. Kalajoki did exceptionally well in the comparison, receiving a score of 166/176. Some municipalities only received a score of 5/176. Kalajoki’s score shows that most of the young people in the town are very well. “The comparison provides valuable information for families who are considering moving to the region to work at Fennovoima’s Pyhäjoki power plant site, for example. Kalajoki can offer beautiful plots and cosy flats to the people working at the site. We are only a 30-minute commute away from the Pyhäjoki site. There are also many jobs available in tourism,” says Anne Tullila, the Integration Services Manager of Kalajoki. The City of Kalajoki promises five-star living to its citizens. Anne Tullila says that living in Kalajoki means a comprehensive quality of everyday life. Said quality consists of the services, the location, and the housing alternatives. As Kalajoki is an international tourist attraction, it can offer more recreation opportunities than many other municipalities. Naturally, the popular tourism area also offers many summer jobs to the youth. This year, Kalajoki supports the employment of 115 young people for the summer. The City of Kalajoki also boasts a high-quality day care and school network. The Finnish Schools on the Move programme has been implemented in Kalajoki so well that last year the Pohjankylä School in Kalajoki was among the three finalists in the EU Commission’s Be Active competition, thanks to the school’s operating model. Kalajoki also has both an upper secondary school and a vocational school for youth who have completed basic education. Anne Tullila is happy to provide more information about the possibilities in this pleasant seaside town. “Please do not hesitate to contact us and ask questions about anything: housing, day care centres, schools, education opportunities, activities, or anything else you can think of! This is a commercial article produced by the City of Kalajoki.